I have a Radeon R9 270, where can I get the proper graphics drivers for this card? I've tried a few graphics drivers already but none of them seem to have any affect towards performance and compatibility, specifically with games. Have you tried the drivers from AMD's website? The search result was the AMD Catalyst™ 14.4 Proprietary Linux x86 Display Driver. Not the answer you're looking for? 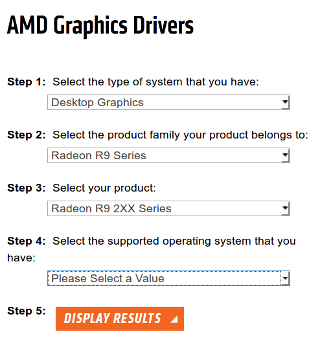 Browse other questions tagged drivers graphics radeon or ask your own question. How do I install AMD graphics drivers for Ubuntu 16.04? Are proprietary graphic drivers worth installing?